Can’t Sleep? Consider These 3 Natural Sleep Remedies! What can you do when Mr. Sandman just won’t show up to bring you a dream? First, you might take some comfort in the fact that you’re hardly alone. According to Prevention Magazine, 60% of Americans experience difficulty sleeping every night. Of course, sleep deprivation can make you cranky and irritable; over time, it can even lead to serious health problems. Did you know that caffeine’s half-life is five hours? You might think it’s fine to have a cup or two of coffee with your supper at 6 PM. Actually, half of the stimulant will still circulate around your body by 11 PM. If you have trouble falling asleep, you should begin abstaining from caffeinated coffee, tea, and colas about seven hours before you plan to go to sleep. People who are particularly sensitive to stimulants should probably avoid caffeine starting right after lunch. Also, drinks that contain caffeine act as diuretics, so they might increase the chance that you’ll have to wake up to use the restroom. You could also try to eat more foods that promote sleep, like chamomile, oats, cottage cheese, almonds, sweet potatoes, bananas, grapes, cherries, and honey. If you have problems sleeping because you have trouble quieting your mind after a long day, meditation may provide the natural sleep remedy that you need. You can find plenty of sleep meditation guides on the Internet with a simple search. These meditations have been crafted to help you quiet both your mental and physical responses in order to help you drift off. However, meditation tends to work better if you practice it regularly and doing so may also help relieve daytime stress. You’ll probably even find yourself looking forward to your quiet time after you experience it for a few days. Even while you’re asleep, some parts of your body still work hard. For instance, your body uses the time that you’re asleep to repair and rebuild itself. At the same time, typical mattresses contain toxic chemicals that don’t do a thing to repel allergens. You can’t make the most of your sleep if your immune system has to work twice as hard because it’s forced to fight off allergic responses. 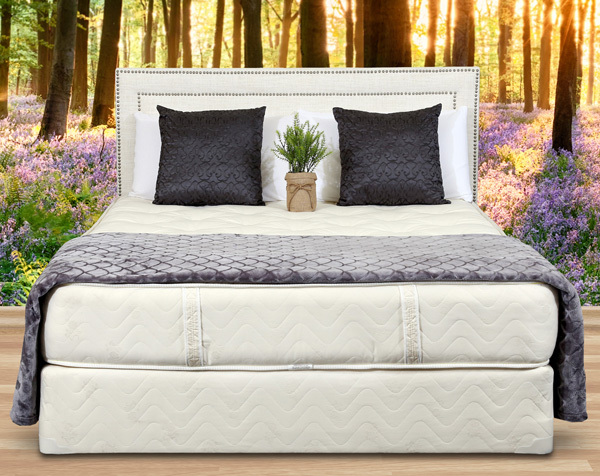 If you wake up feeling more tired than you did when you went to bed, you might consider replacing your old bed with an organic mattress. If your traditional mattress is more than a few years old, you’d be wise to consider replacing it. Any old or worn mattress will have lost its original firmness and probably be contaminated with dust mites and other allergens. At Gardner Mattress, we can help you enjoy natural sleep with the mattresses that we proudly craft by hand in the USA. You can contact us by phone or email, and you are also very welcome to visit one of our mattress showrooms. Previous article	50 Facts About Mattresses You Probably Didn’t Know!